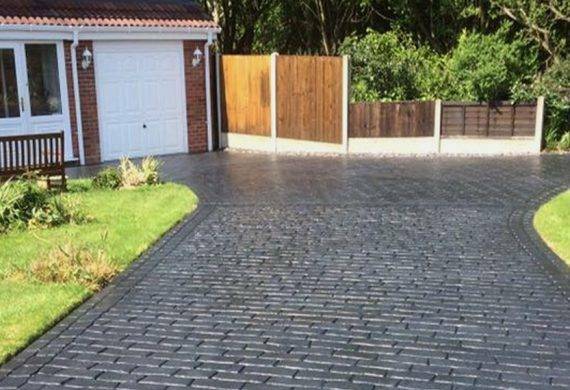 What are the Benefits of having a Patterned Concrete Driveways? 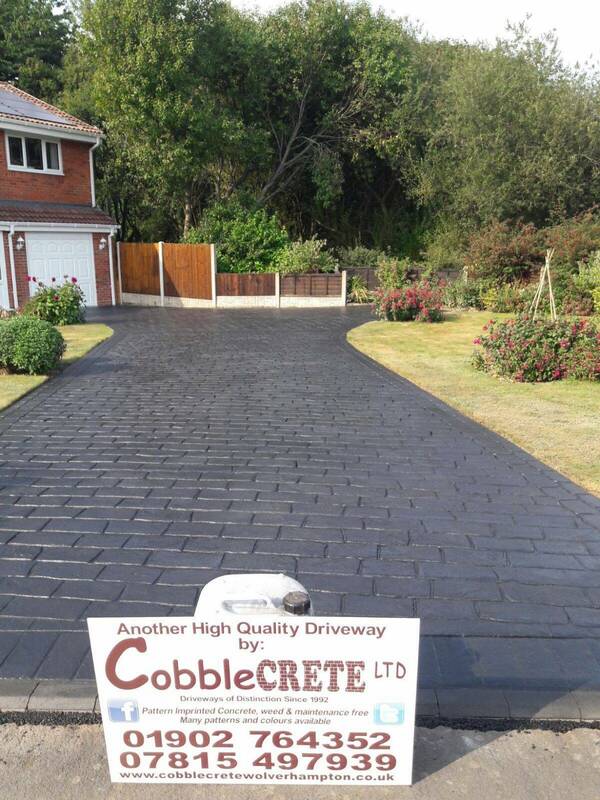 At Cobblecrete Ltd we have been imprinting concrete since 1992 that’s 26 YEARS, that’s a quarter of a century of existing paved areas for you to view, ranging from domestic properties, industrial carparks, stable blocks, airports, fast food drive-throughs and pub car parks. 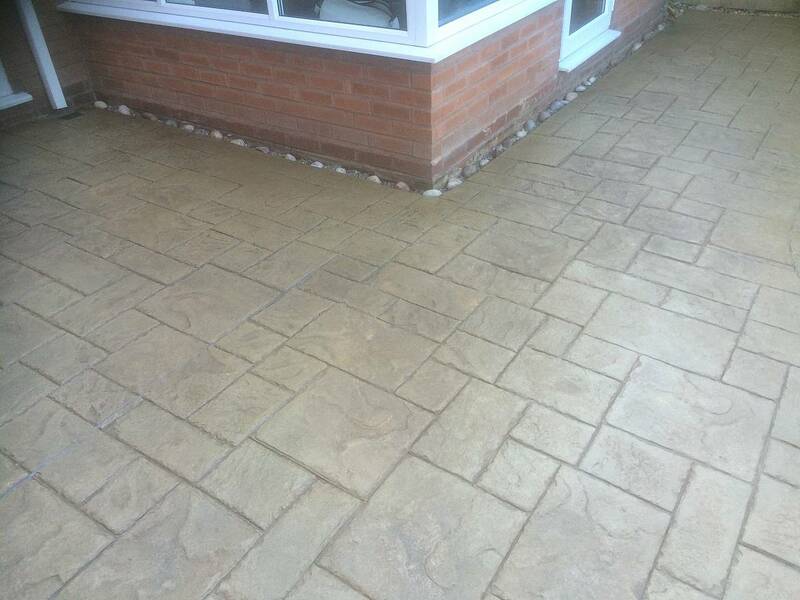 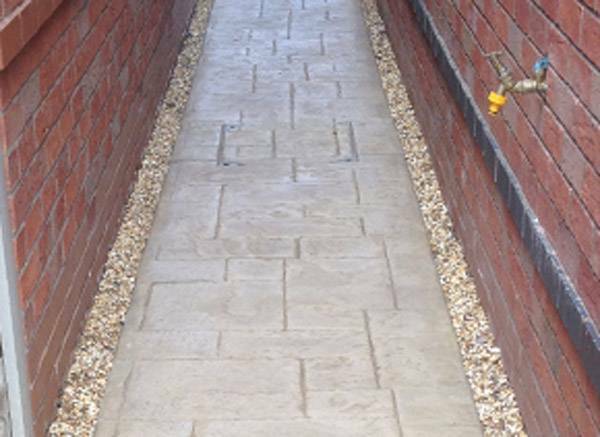 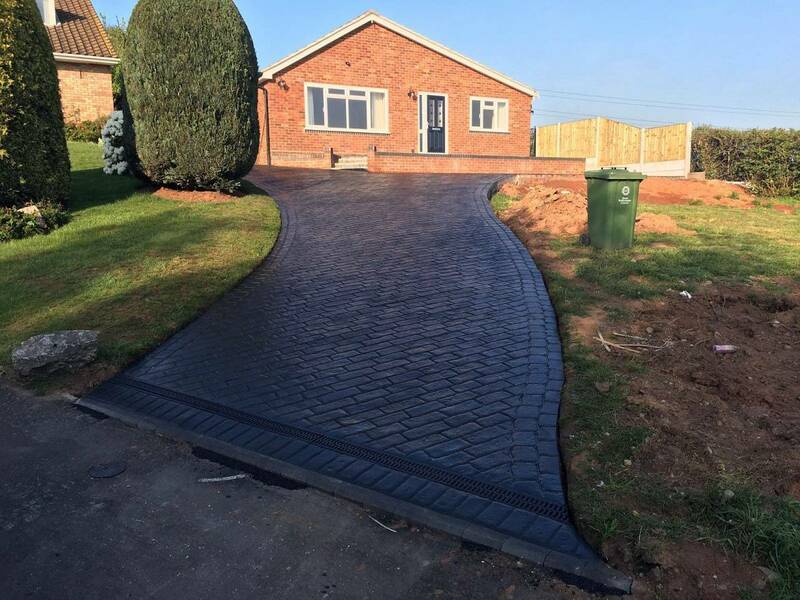 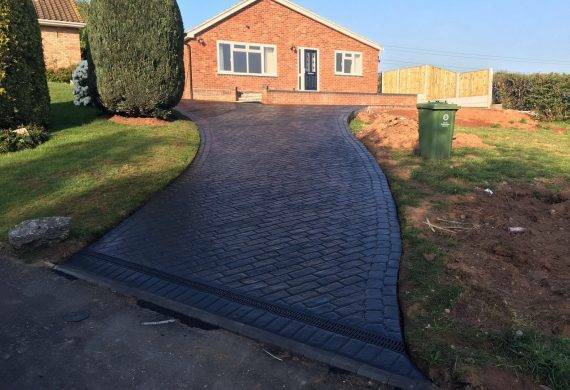 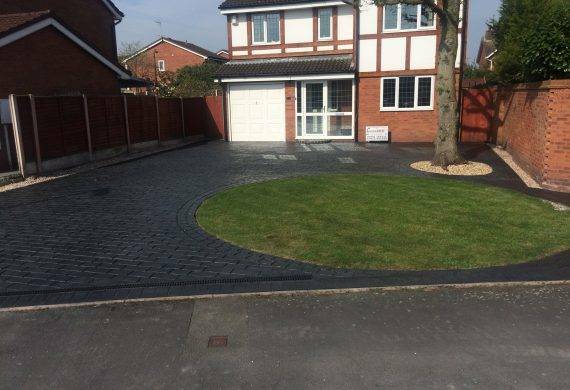 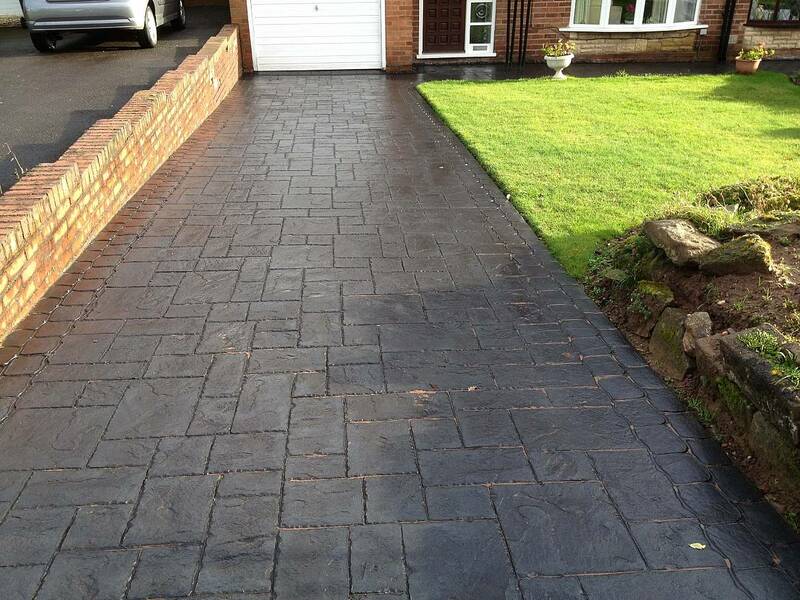 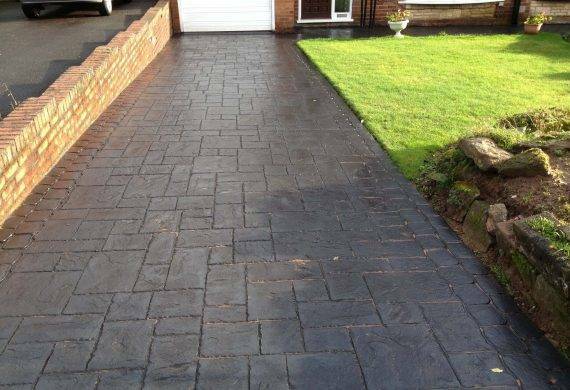 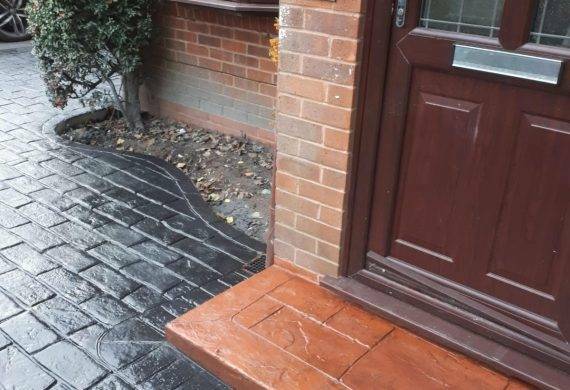 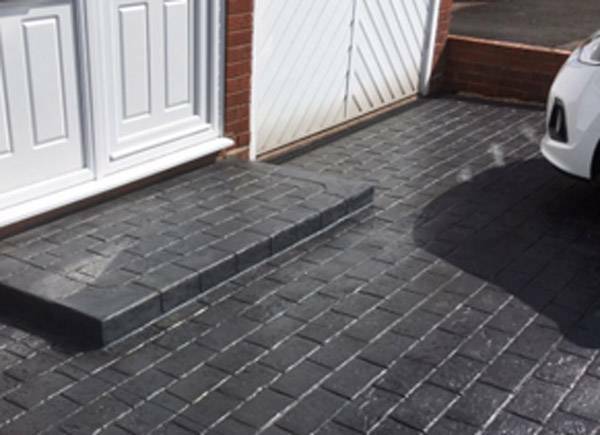 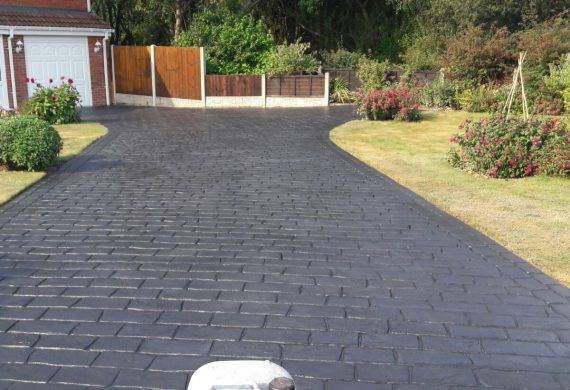 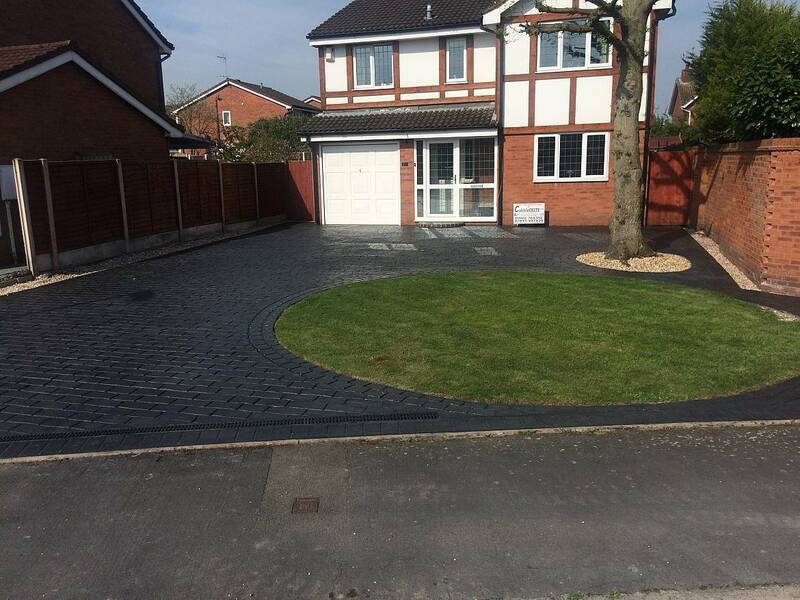 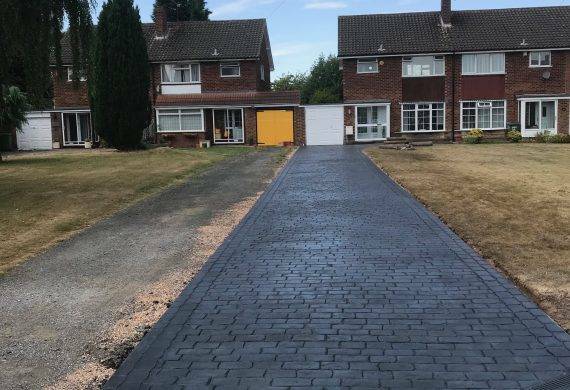 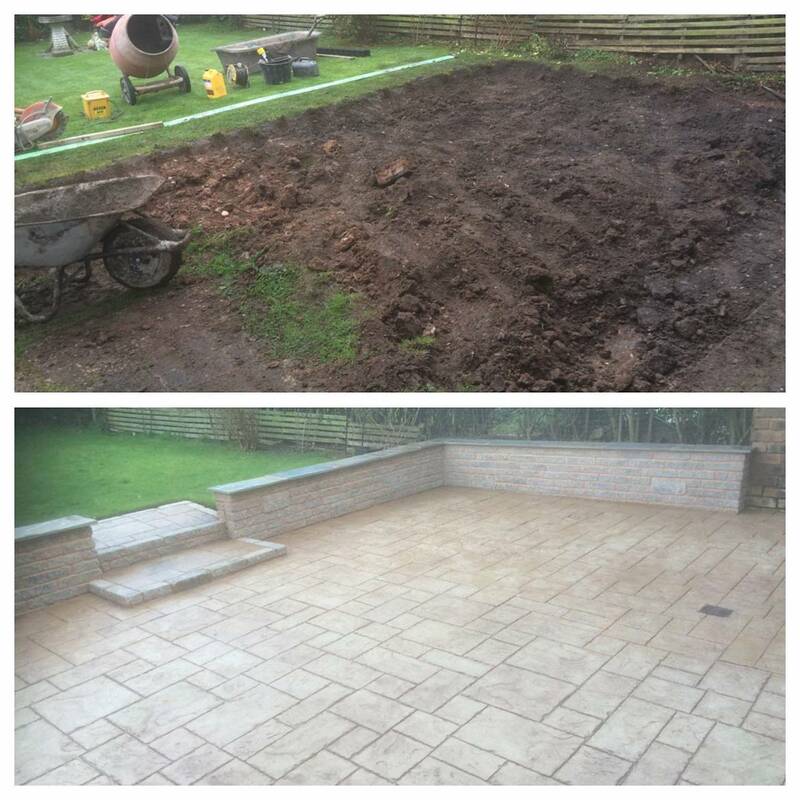 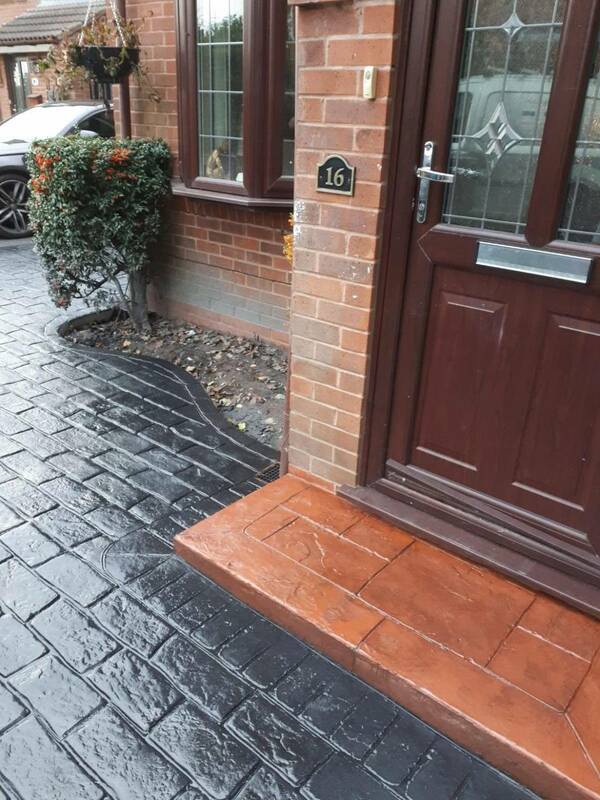 Cobblecrete are still supplying concrete driveways in Tettenhall, Wolverhampton, Codsall, and Wightwick with unusual and unique patterned concrete driveways and patios designs – using pattern imprinted concrete. 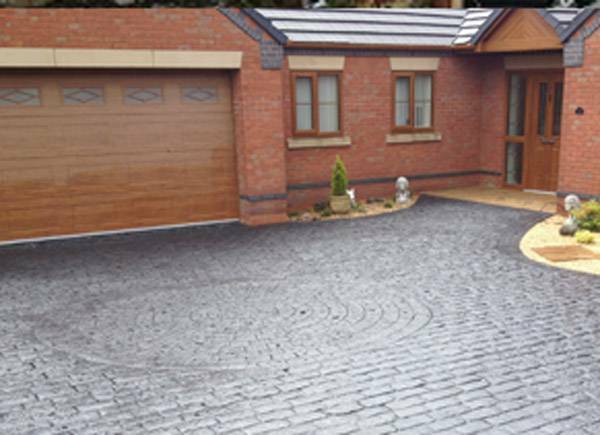 So how can we help you make the decision to choose to have a concrete imprinted driveway or patio? 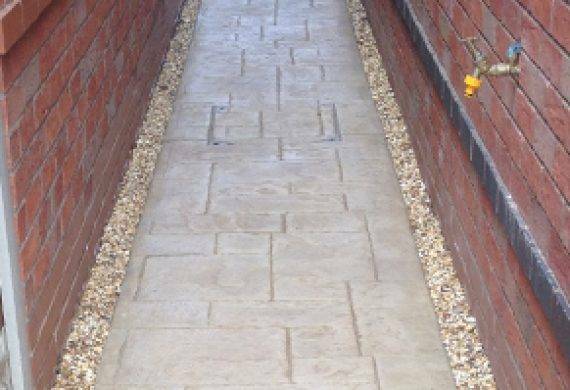 We use a high strength fibre reinforced concrete (reaching 30-40 Newton after 28 days). 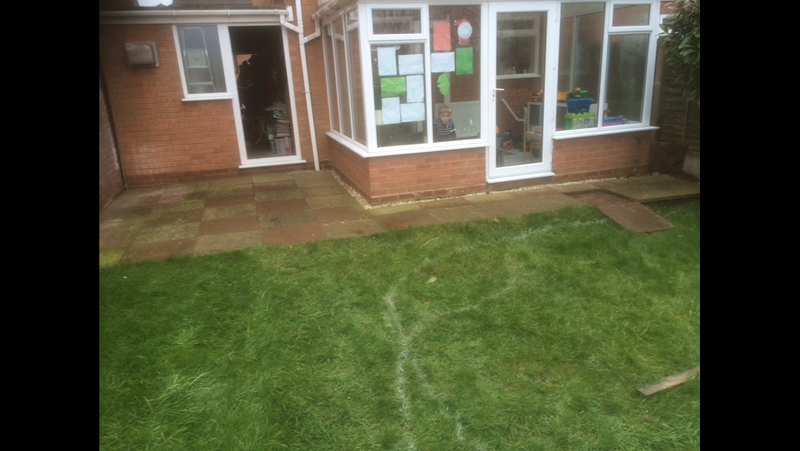 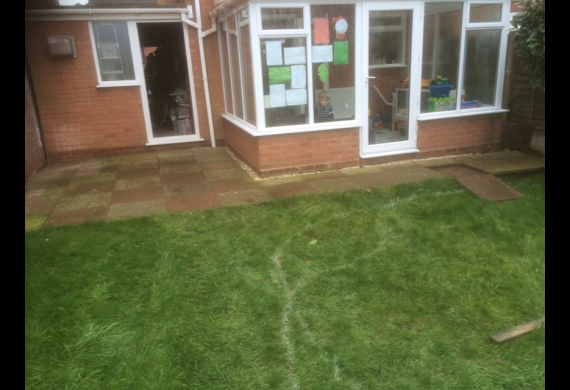 The concrete is laid to an average depth of 100mm. 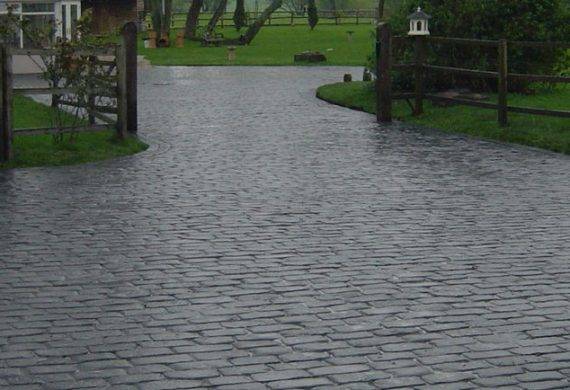 It will not sink or dip in time and rather than grow weaker it actually strengthens over time. 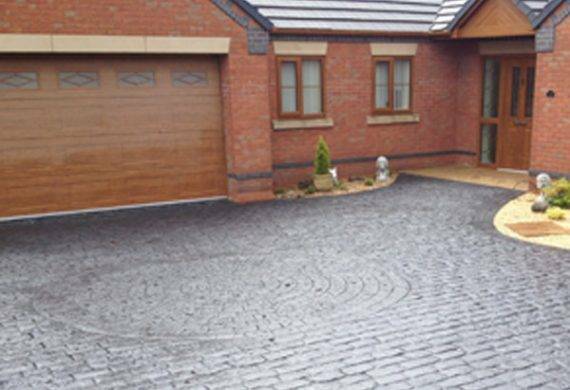 The concrete is also air entrained to help it deal with the most severe temperatures in the winter months. 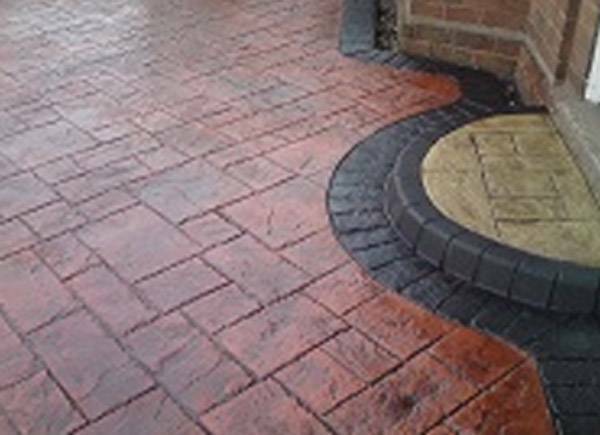 The colour surface hardener which is applied to the surface makes it stronger than a standard concrete surface. 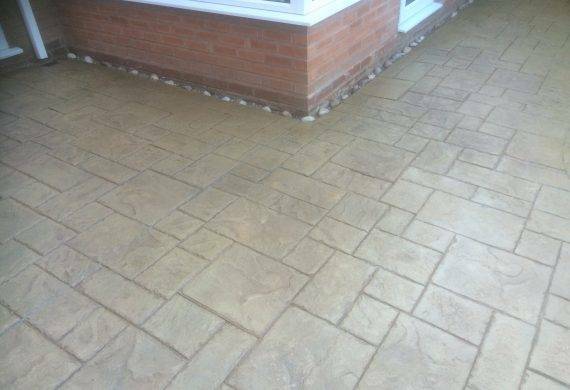 On top of all that the surface is then coated with an anti-slip acrylic sealant, preventing spoiling from spillages such as oil. Simply get your installation resealed every 2-6 years. 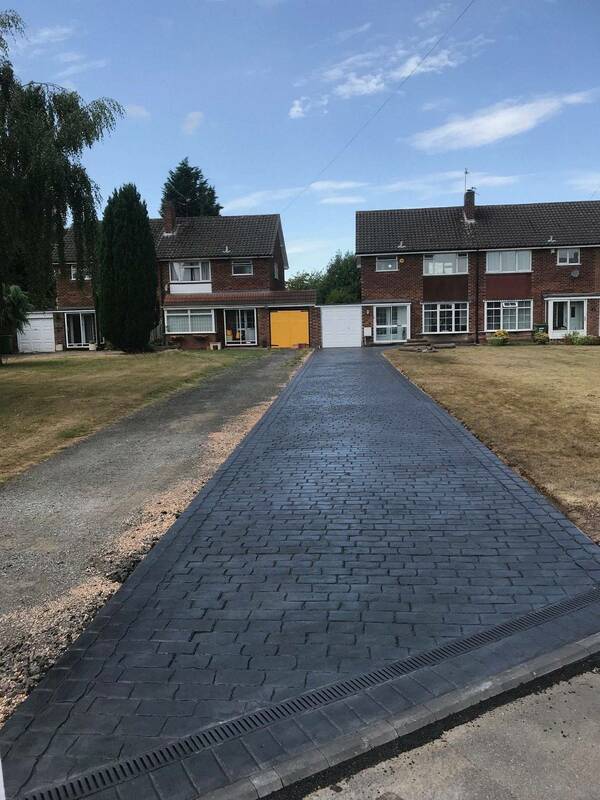 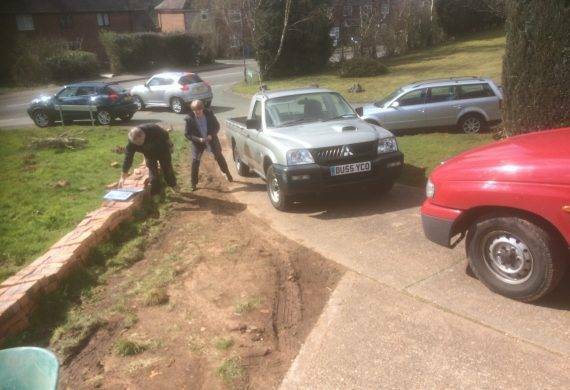 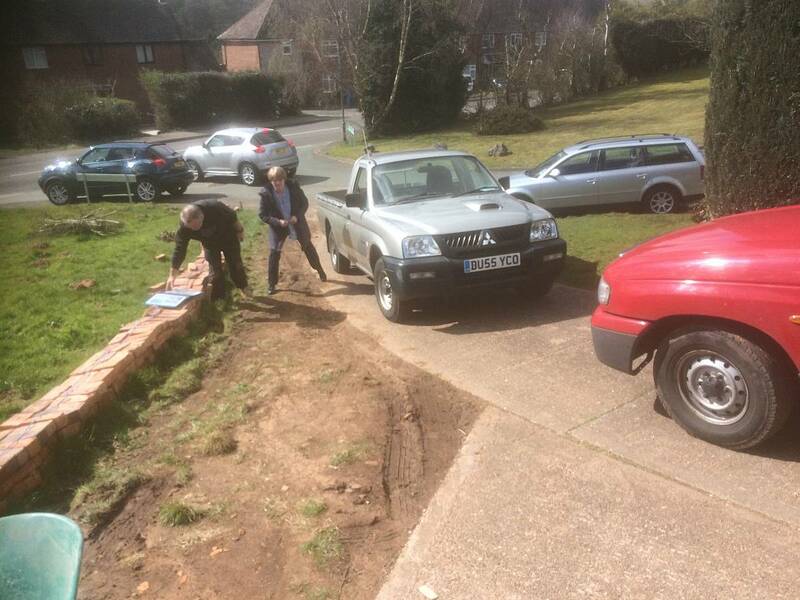 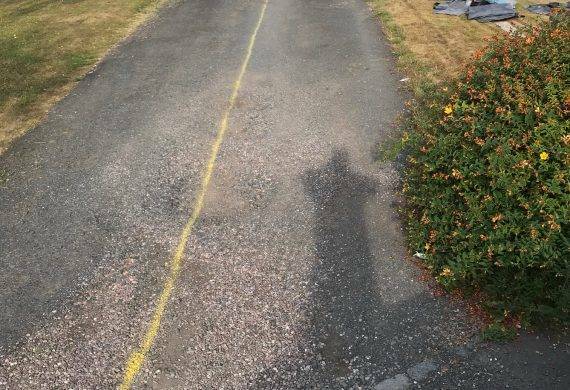 This will protect driveways in Tettenhall from any deterioration and keep mould and algae at bay. 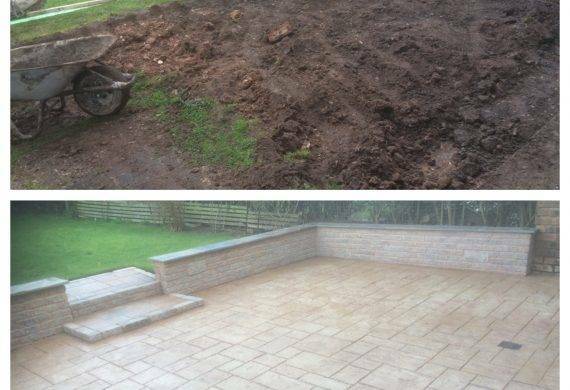 Resealing is something we offer but is also a fairly simple DIY chore. 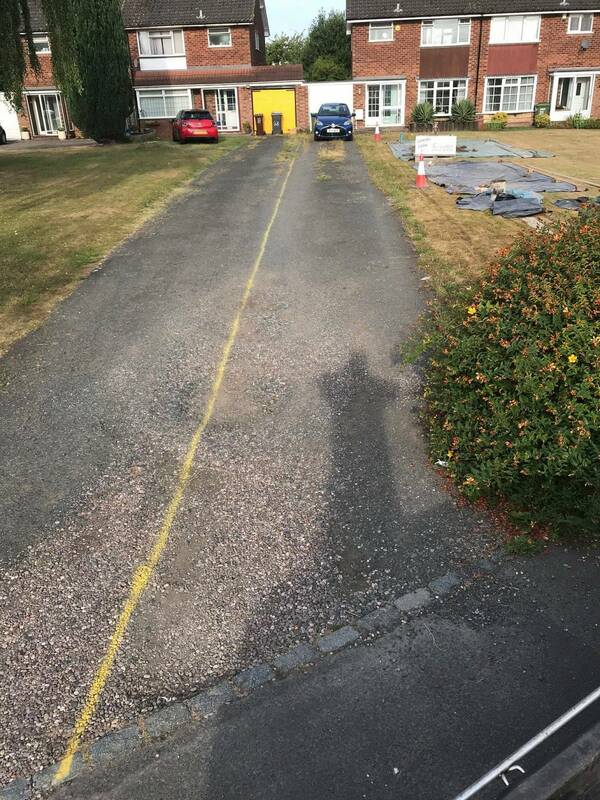 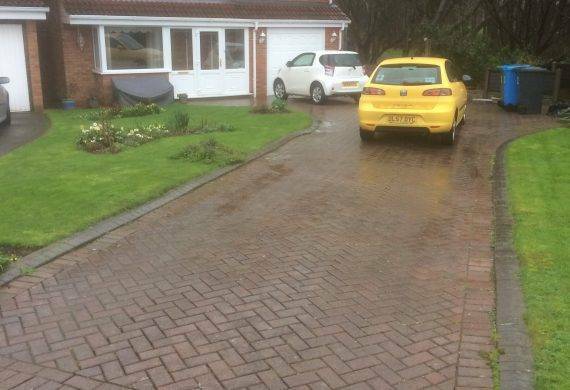 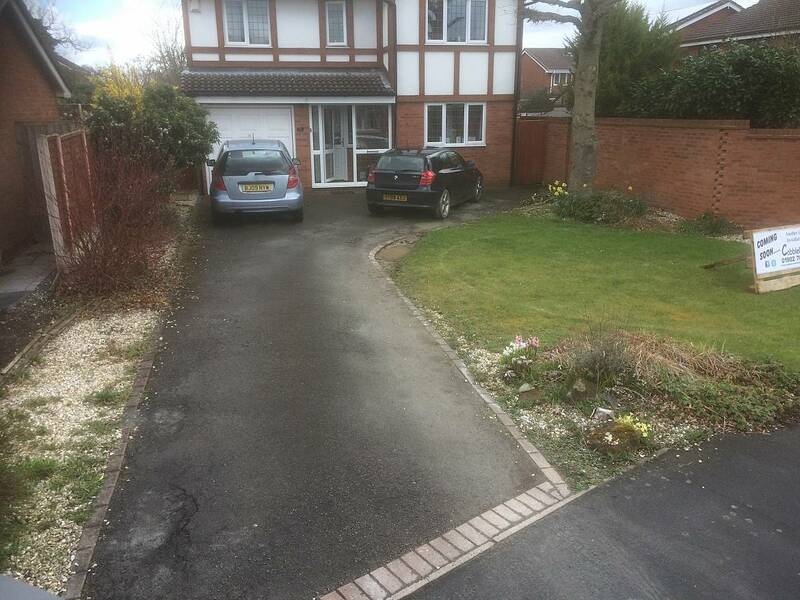 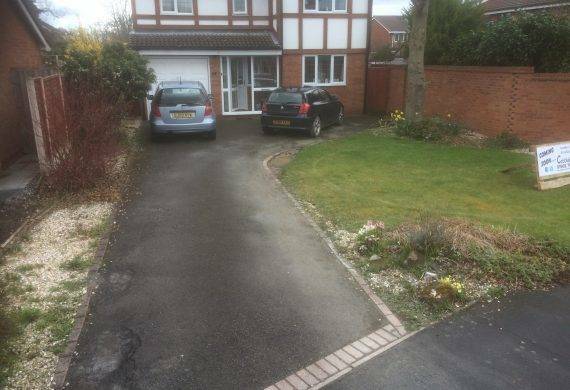 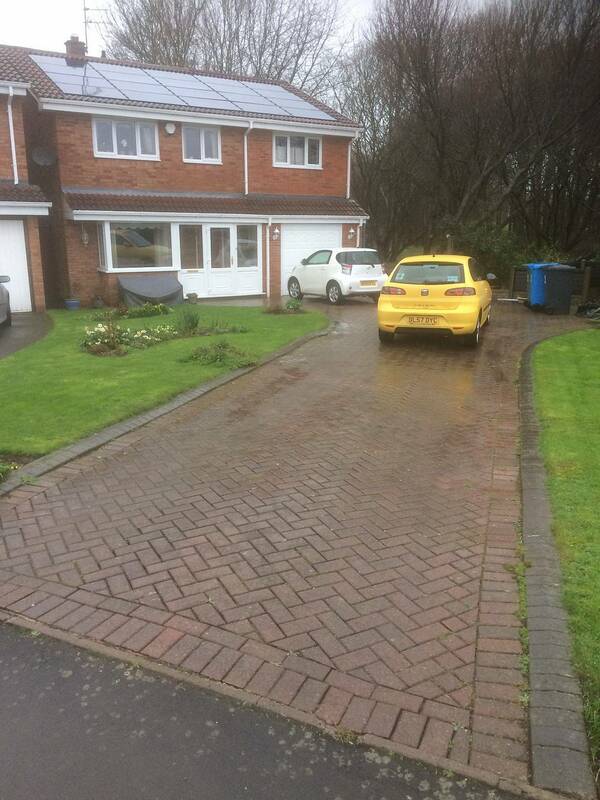 Please look at the picture of a 16-year-old driveway looking as good as the day it was laid after a reseal. 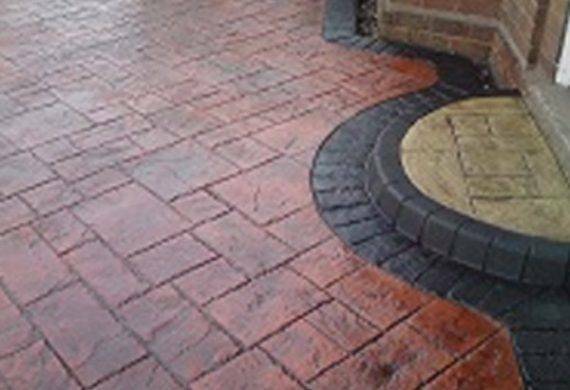 With a massive range of designs and colours, a project can be tailored to the needs of absolutely any type of property.